have you heard of rainbow freckles? its a makeup trend that someone much younger and cooler showed me. 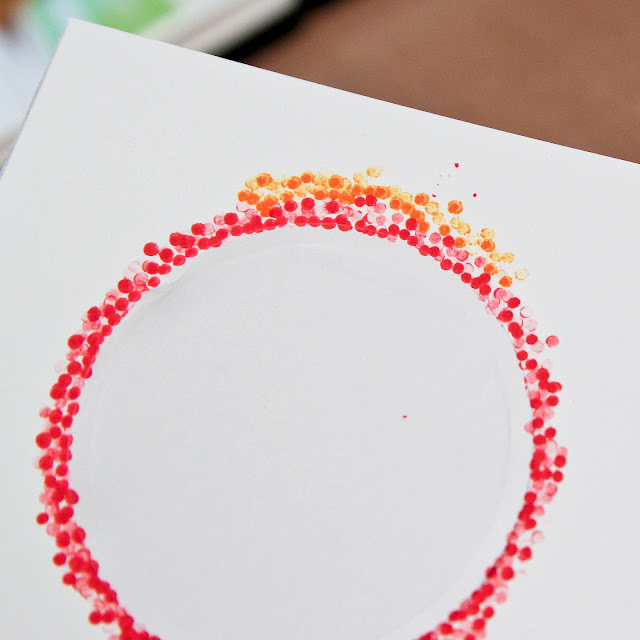 to create my rainbow freckled card, i cut a circle from masking paper and applied the mask to the front of my card. 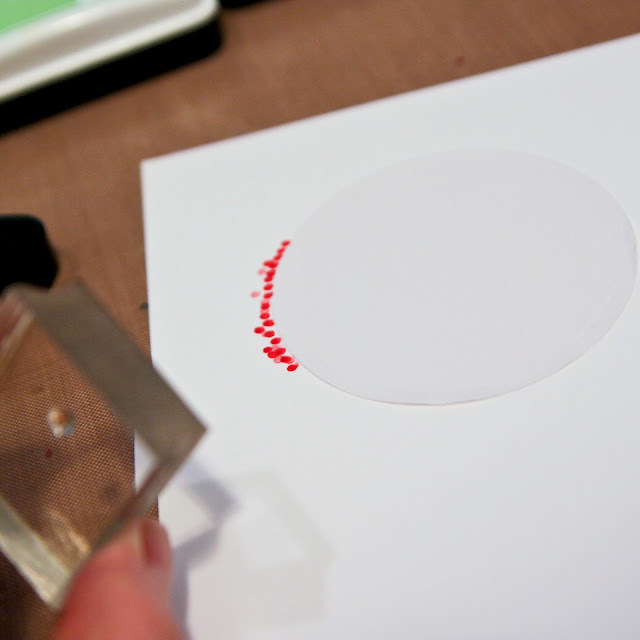 then i used the smallest dot stamp from the essentials by ellen bokeh dots to stamp around the circle mask. 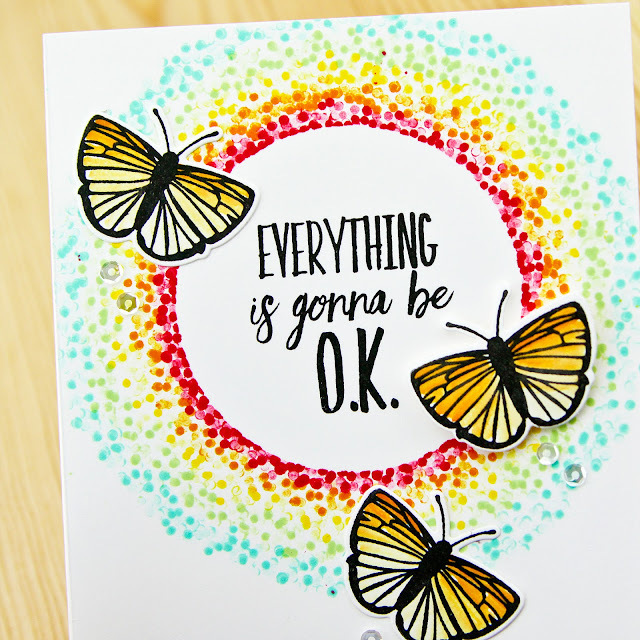 i stamped one color at a time and while it was a little time consuming, it was relaxing too. 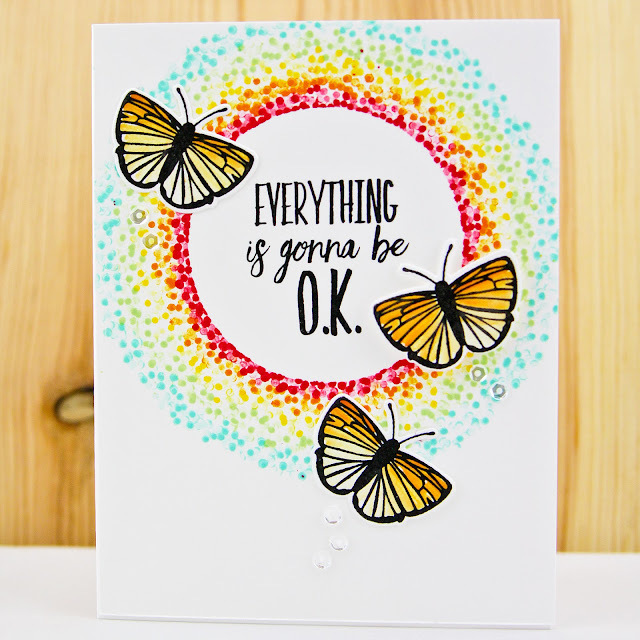 then finished my card with a sentiment in the middle, some watercolor butterflies and a few clear sequins. now about the rainbow week giveaway!!! some lucky person is going to win a $25 gift certificate to ellen hutson llc. all you have to do is leave a comment between today and friday. the winner will be drawn on saturday, march 12th. and do you want to enter the giveaway more than once by commenting on more than one day? go for it! you can even share a link to rainbow week on social media for another entry (just be sure to leave me another comment or tag me). This is so cool! The bright colors make me feel happy! Very cheery card...love all those little dots! I love rainbows too! This card is so cool. Thanks for the chance to win! Wow! This card is so beautiful... Love It! I don't think I've seen anything like it before. I am inspired... Thank you! Wow! That looks incredible! Amazing how inspiration comes in various forms! This is so neat! 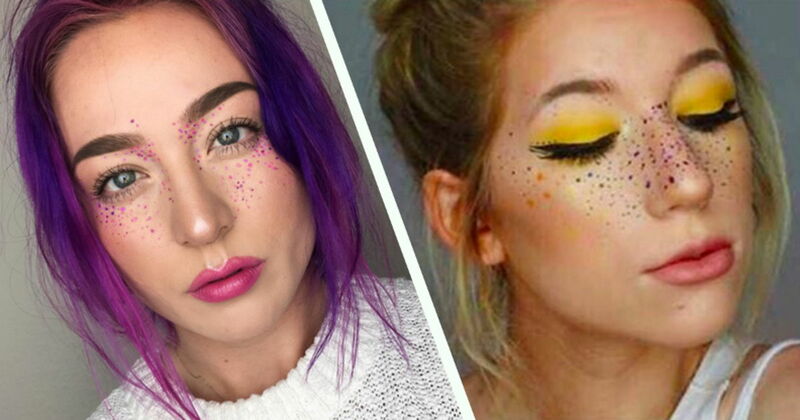 I've never heard of rainbow freckles but absolutely love how they inspired you! This is sooooo clever and came out adorable!!! Thanks for the rainbow inspiration!!!! Oh my word!! That looks like SO MUCH wirk!! I would NEVER come up with such and idea...and it looks AMAZING!! Loved it!! Love the rainbow! Such a cool idea! This card is amazing!!! What a great idea!!!! Love this! I can't wait to try it. This is gorgeous! I love rainbows and can't wait to see what you have in store! I love rainbow anything! Beautiful card! Love your card and what a cool technique! I am defiantly going to give it a try, thanks for the inspiration! How ingenious of you! Super cute and uplifting card!! Love this and can't wait to try :)) thanks for taking time to share. Love the freckles as inspiration. My numerous freckles are all brown, rainbow would be way cooler! I'm too old to have heard of this trend, but I LOVE how you brought it to the attention of crafters! Awesome! Thanks for sharing! Carley that is a pretty cool card. I saw your instagram posts spme pretty cute stuff there too. What a cool tecnig7with pretty results!